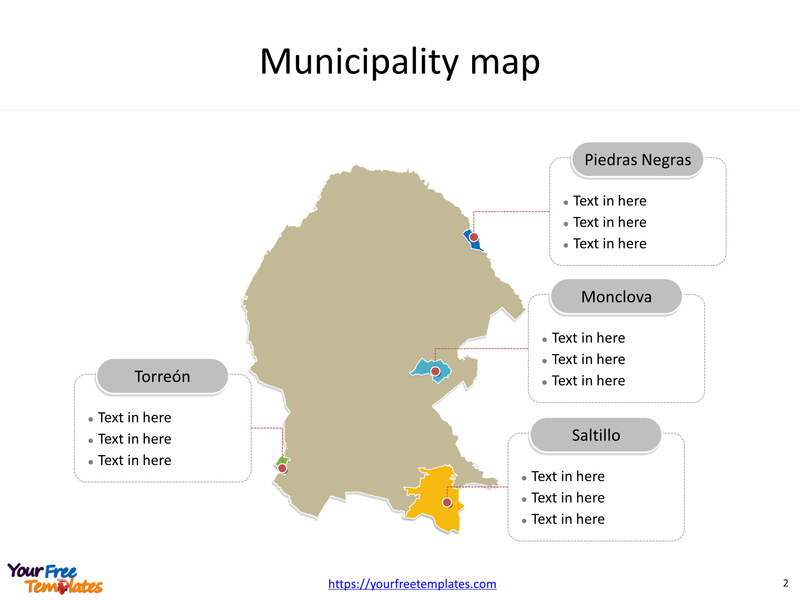 The State of Coahuila map Template in PowerPoint format includes two slides. Firstly the Coahuila map with outline is labeling with capital and major cities. Secondly the Coahuila maps with municipalities and labeling with major ones. 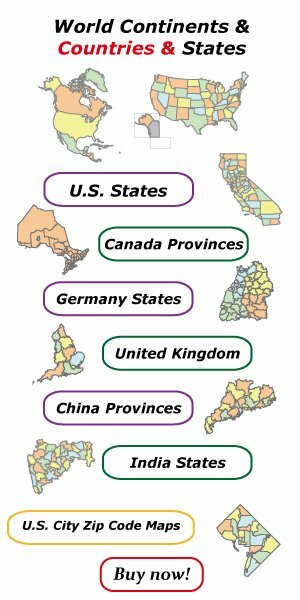 So our Coahuila maps PowerPoint templates have capital and major cities on it. They are Saltillo, Ciudad Acuña, Piedras Negras, Monclova, Torreón. Finally the most populated municipalities are Saltillo, Torreón, Monclova, and Piedras Negras. 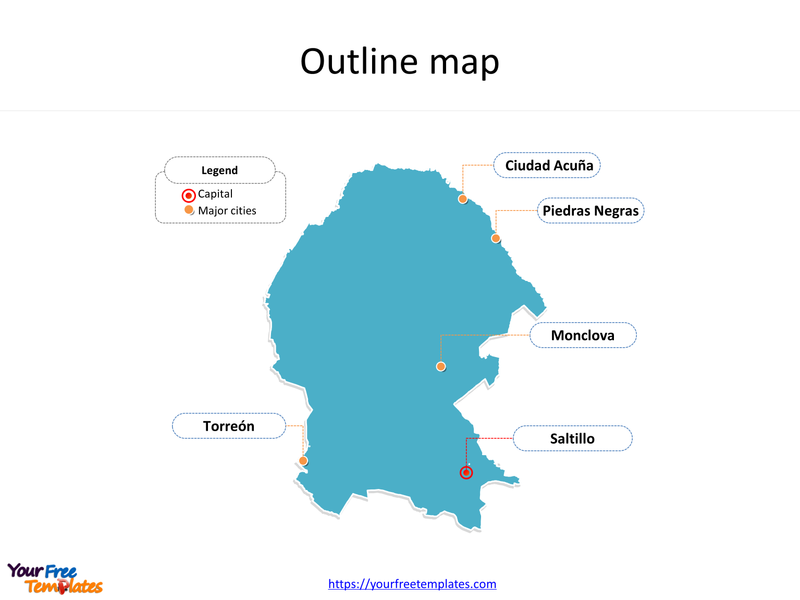 The Coahuila maps PowerPoint templates include two slides. Coahuila is one of the 31 states that along with the federal district of Mexico City make up the 32 federal entities of Mexico. Coahuila borders the Mexican states of Nuevo León to the east, Zacatecas and San Luis Potosí to the south, and Durango and Chihuahua to the west. To the north, Coahuila accounts for a 512 kilometres (318 mi) stretch of the Mexico–United States border, adjacent to the U.S. state of Texas along the course of the Rio Grande (Río Bravo del Norte). With an area of 151,563 square kilometres (58,519 sq mi), it is the nation’s third-largest state. It comprises 38 municipalities. Its capital and largest city is Saltillo, other major cities including Ciudad Acuña, Piedras Negras, Monclova, Torreón. You can found them in our Coahuila maps PowerPoint templates. Coahuila is subdivided into five regions and 38 municipalities. The most populated municipalities in Coahuila State are Saltillo, Torreón, Monclova, and Piedras Negras. What is more, about 95% of Mexico’s coal reserves are found in Coahuila, which is the country’s top mining state. The labels and shapes are layers of different groups. At the same time you can also refer to the fully labeled State of Coahuila in Wikipedia. Believe it or not, analysts from marketing research companies, consultants from professional firms think highly of our website yourfreetemplates.com. Most important of all, our maps can help to reduce their efforts and create good-looking maps.